Privacy | Terms © RealtyNinja Services Ltd. Become a real estate marketing ninja. From the creators of RealtyNinja. RealtyNinja Updates - Bird's Eye View, Custom Favicon's and more! 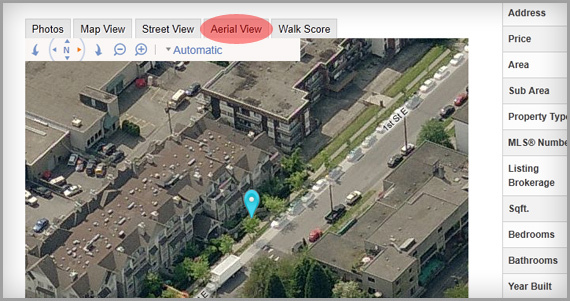 We just added a new tab to all listings that shows it from a bird’s eye aerial view. Aerial view overlays satellite imagery onto the map and highlights roads and major landmarks automatically. This applies to all listings, whether they’re your own or from MLS®. A favicon (short for favorite’s icon) is a little file that contains an icon image that represents your website. Typically its shown in your browsers address bar and favorites/bookmarks. To set one up, login to your website and click “Settings” then scroll down on the “General Settings” page and upload your custom favicon.ico file in the “Custom Favicon” box. If you don’t have a favicon.ico file and want to make one from an image, visit this website or send us an email and we can help you get setup with one! If you want some great ideas on how websites are using favicons, check out this resource. Have you ever walked down the street and seen a “for sale” sign on a listing and wanted to get details on it right away? (Without having to type in the agent’s website address into your smart phone and then try to find that listing manually). Well, slap a QR code sticker on that thing. By having a QR code right on the sign, people walking by can scan it on their smart phone and immediately look at interior photos, read info and get in touch with you while they’re still in the driveway. It sure beats peering into the window. 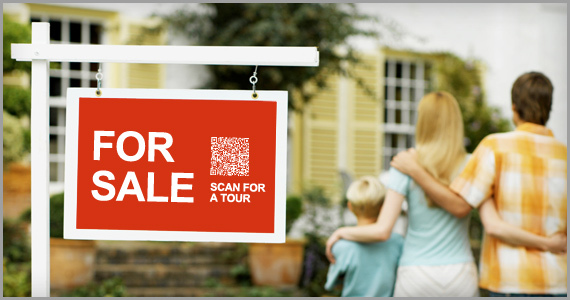 If you’re a RealtyNinja customer; all your listings automatically have QR codes ready to print out. 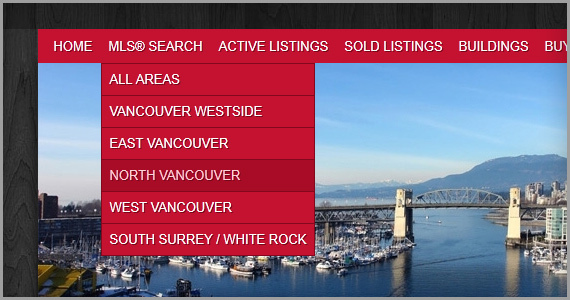 Just login to your website and click the “Listings” tab. You’ll see little QR code icons next to listings.. just click that button and print them out on sticker paper (that you can grab from most stationery stores and print at home). 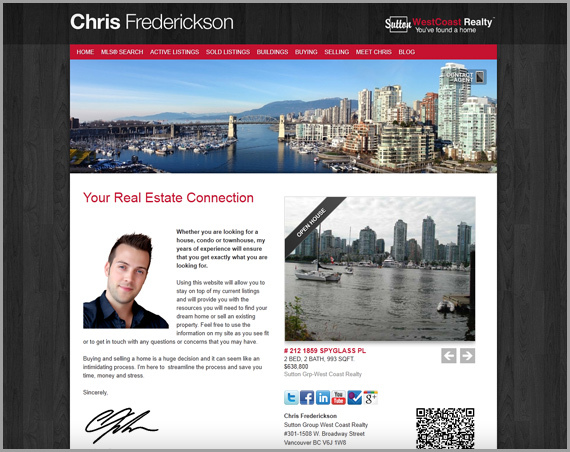 Take a look at what Chris Frederickson from Sutton WestCoast Realty has done with his RealtyNinja website. Specifically, Chris has done a great job with blogging and setting up custom niche listing pages. Check it out at www.chrisfrederickson.ca.